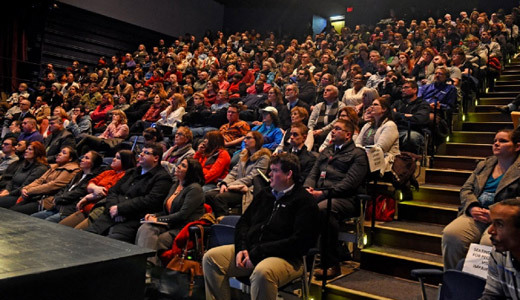 On January 20th a capacity crowd filled the John Mulroy Civic Center in downtown Syracuse for the Onondaga County Drug Taskforce’s first drug forum. The event was orchestrated by the Taskforce to give voice to the heroin and opioid crisis in the county, providing the community an opportunity to listen to subject matter experts and ask questions of panel members. The following day on January 21st, the West Genesee School District filled its auditorium with community members looking for solutions to this crippling crisis. Dan Cummings from News Channel 9 successfully moderated the event. This size of the crowd at each of the events demonstrated the level of concern prevalent in the CNY community related to heroin and opioid abuse. 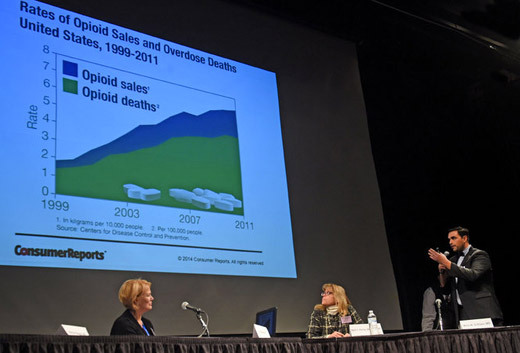 At both forums, representatives from law enforcement, emergency services, addiction and treatment and prevention, including the Upstate New York Poison Center participated as panel members. Congressman John Katko of the 24th congressional district also contributed to both forums. In addition to local subject matter specialists, each forum provided heartfelt testimonies from both a recovering addict and from a parent whose daughter lost her life to heroin. Each of the testimonials helped drive home the reality of drug abuse. The Onondaga County Drug Taskforce is planning additional forums through the coming year to give community members in others regions of the county the opportunity to discuss the issues related to heroin and opioid abuse. The dates will be posted at the Upstate New York Poison Center’s website at www.upstatepoison.org as soon as they are determined.